Magerramova Liubov graduated from Moscow Aviation Institute (MAI) as a specialist-engineer-mechanic. After post-graduate course in MAI she was awarded the degree of Doctor of Science and the position of "Senior Researcher".She work as Chief of Group in Department of Strength of Central Institute of Aviation Motors (CIAM). She is a specialist in the field of compressor vane strength, cooled and uncooled blades, including single-crystal blades. She designed and formed data base on structural strength of the materials used in engine building. 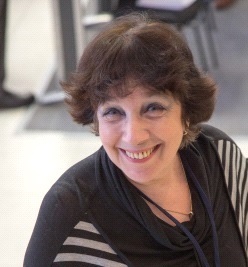 At present she is head of the lead in the field of calculations and experimental studies, design and development of undetectable constructions, combined of heterogeneous materials for parts and units of next-generation engines.She is currently engaged in the development of technological projects of production of parts and components of gas turbine engines using additive manufacturing. Over the past 15 yearsshe had published more than 50 scientific articles and 4 patents. She have participated with presentations at 19 international symposia and conferences and author the 10 Normative documents and technical methodologies. Magerramova Liubov's area of interest is the design and analysis of parts with cellular and lattice structures.